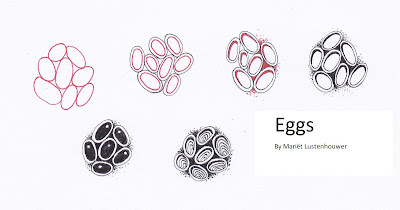 Studio ML: New tangles "Eggs and Flevo"
Wat leuk, beiden. Wat een fantasie Mariët. Ook de combi van die 2 is geweldig leuk! Thank you for sharing these Mariët - I particularly like Flevo - I know I'll love using it! 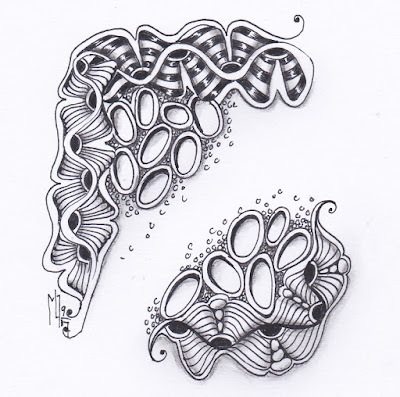 Thanks Mariet - I love these two patterns. They will be easy to remember and transform into all sorts of patterns. Think these two are great. Looks like have a number of possibilities. 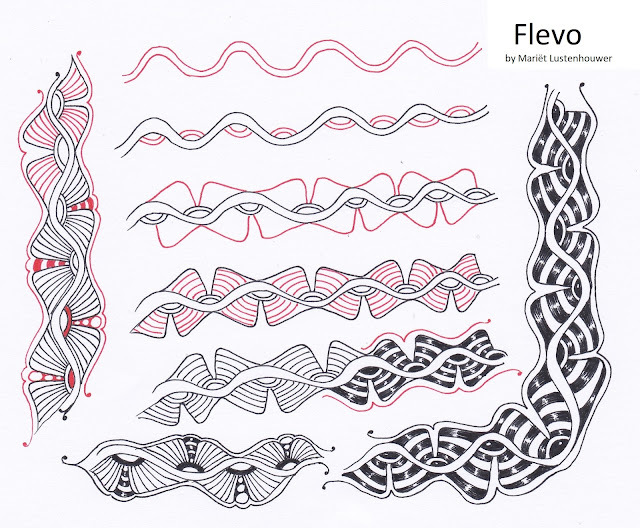 This beautiful tangle, Flevo, looks so complicated when it is finished yet the step-out is so simple. Exquisite. 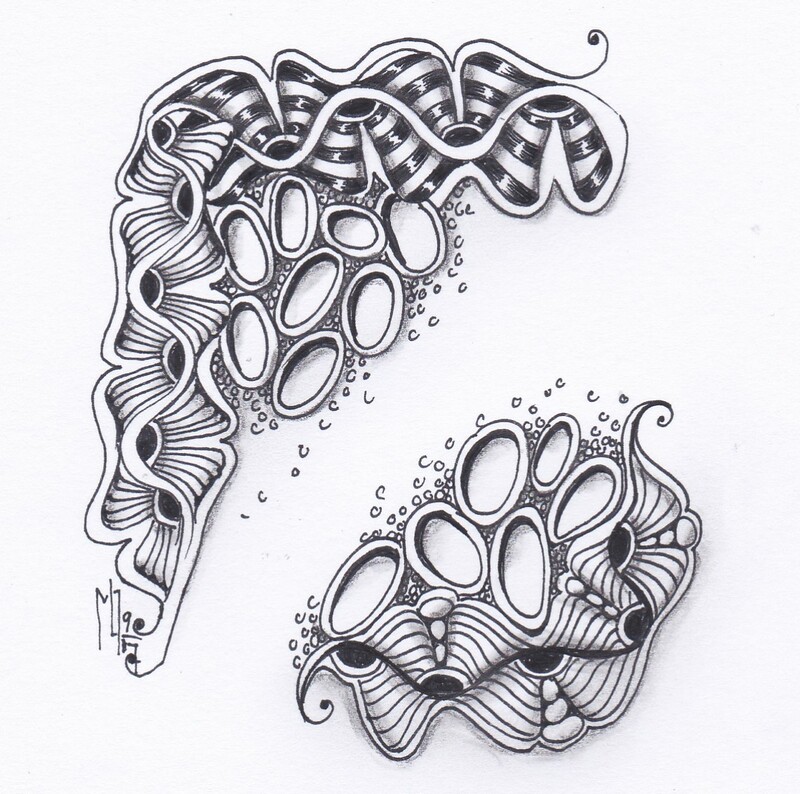 Geweldige Tangle, die gaat zeker voorkomen in een van mijn volgende probeersels. Heerlijk om te doen!!! These will turn out to be extremely popular! 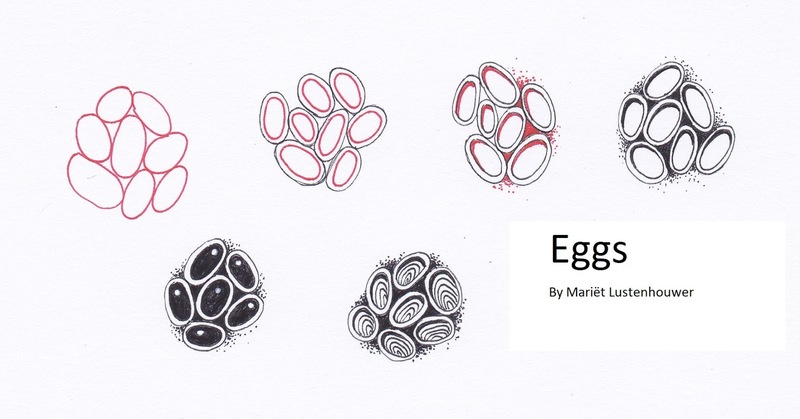 Very versatile; looks complex but simple to draw; especially love Eggs! Hi Mariët, Flevo is so "normal" as to "Steps", yet so elegant when finished. Found it through Tangle Patterns.com I am so glad you introduced Eggs. Your alternate fills gives one many ideas. I think it may be similar to Lily Pads, but your fulls do the trick. I'm going to have fun trying out Flevo! And the variety of fills for Eggs is wonderful. Thank you! hank you for inventing and sharing.